In 1947 when the Air Force became a separate entity there was always disagreement between senior military leaders of who should have control of the air resources. The controversy continued through the years with the Army feeling they should have control of the close air support and tactical airlift as a separate air arm of the Army. The USAF Tactical Air Warfare Center (USAFTAWC) originated as a result of a U.S. Army request in 1961 for additional air support. Gen. Curtis LeMay, then Air Force Chief of Staff, tasked the USAFTAWC to prove the Air Force could support the Army's need for close air support and tactical airlift more effectively than a separate air arm of the Army. The center's first task was to prepare plans for joint Army Air Force tests and evaluations. Its role expanded to include the general improvement of tactical air in support of ground forces. In 1964, USAFTAWC proved the Air Force's capability to provide support to the Army during exercises "Indian River" and "Goldfire." As expected, there were shortfalls in equipment, tactics and training. The Air Force broadened USAFTAWC's mission to address these deficiencies and included the acquisition and testing of off-the-shelf equipment items, with emphasis on strengthening the Air Force tactical air capabilities. Part of the Air Force requirement to prepare for Gold Fire I was to prepare six CH-3 helicopters for air shipment in a C-133 aircraft. 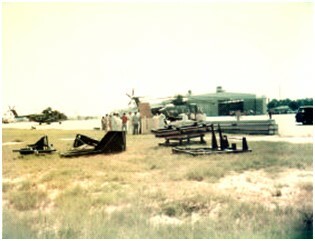 They would be airlifted to another location and reassembled and made ready for the exercise. This all had to take place in a 24-hour period. 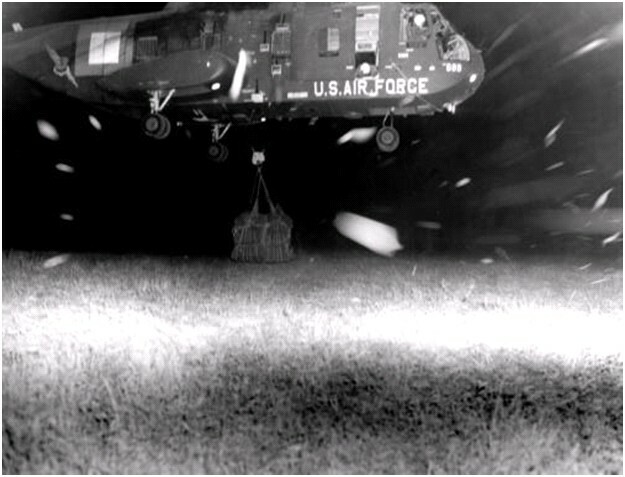 The 4488th Helicopter Squadron at Eglin AFB was given the tasking. 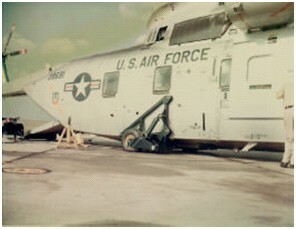 This was to be a first for airlifting the H-3 helicopter in a C-133 aircraft. The 4488th went Air Force wide and drew in the best helicopter mechanics the Air Force had for this important tasking. 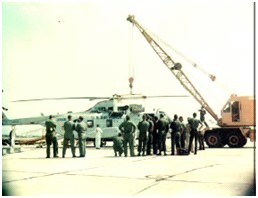 A team of Sikorsky maintenance people traveled to Eglin to demonstrate the procedures for preparing the aircraft, loading and unloading them and reassembling for flight. A handpicked team of Air Force helicopter technicians were trained in the procedures and then later they trained additional personnel resulting in 48 technicians being fully trained for the operation. Otto Kroger was one of the Air Force’s supervisors involved in this operation and his memories of the activities as well as photos are below. 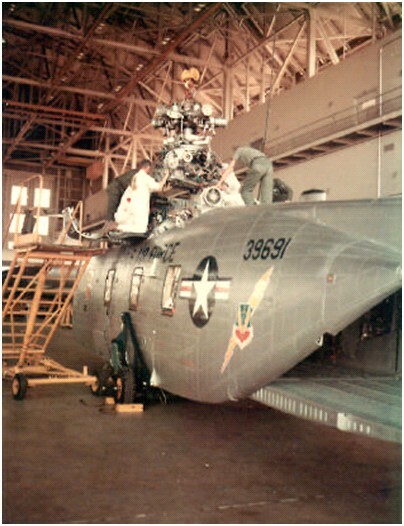 This is the story of the first disassembly of CH-3 helicopters for air shipment in a C-133 aircraft. At Elgin AFB FL in 1964 for operation Gold Fire I, a Joint Army & Air Force exercise held in southern Missouri. 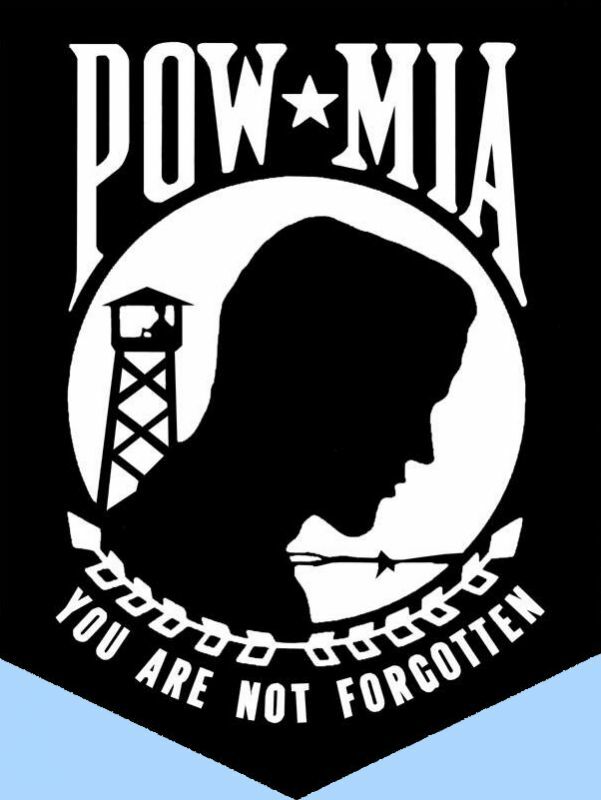 Our job was to prove to the Army that we could disassemble 6 each CH-3 helicopters and ship them two thousand-miles and reassemble them for mission duty in twenty-four hours. This task was preformed. 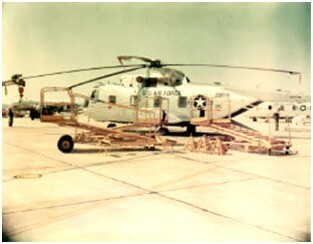 To start Sikorsky assembled the required jigs and tools for the aircraft to be made air shipment ready. This total operation was filmed for later training. 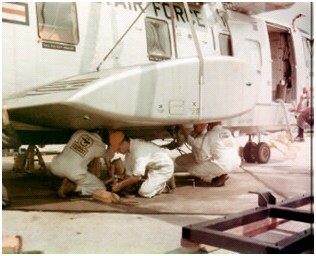 The first disassembly was accomplished by Sikorsky mechanics with the Air Force observing the operation. Later two TSgts, were selected to train 12 man teams in total disassembly, in crews of three and four men, all trained in more than two or three phases of the operation and could cover each other or help when more manpower was needed in an operation. Crews were trained for a 12-hour work shift with half-hour overlap for briefing of the new crew. 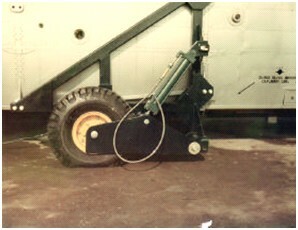 After the project the tools and jigs selected for the job were tested for strength and some were modified. 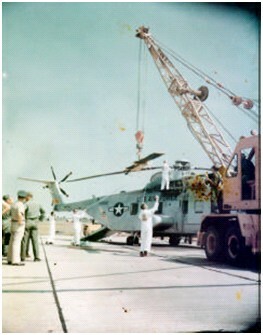 The heavy transmission sling was tested to pick up the whole aircraft. 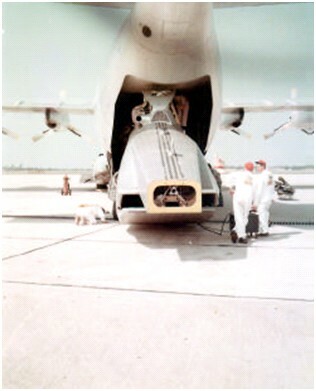 We later used it this way to put the aircraft in a special cradle so the sponsons could be installed easier and safer than doing it with the small jacks. We had some of the best helicopter mechanics ever assembled in one place for this project. Training of these men was done with the prior filming of the job and hands on training from one aircraft to the next with one crew always watching until they all knew each task. Then they were assigned to three and four men crews each working a special area. 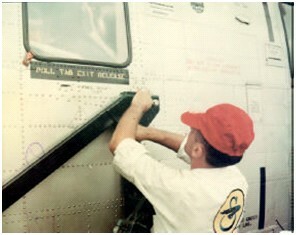 The first set of photos shows the tools & jigs, and the Sikorsky mechanic assembly crew. 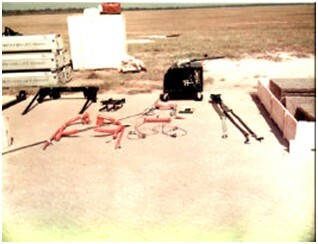 The box, near the center, in the photo is a hydraulic pump which is attached to the helicopter fuselage loading jig wheels and nose wheel. 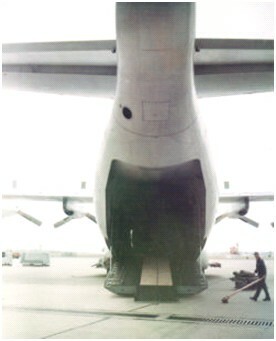 The pump allows you to raise and lower the fuselage as you enter the C-133 to maintain proper clearance. 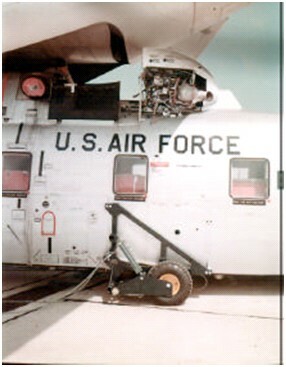 The blue pump was attached at the rear of the CH-3 and rolled along with the fuselage. 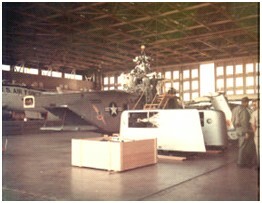 Some of the disassembly was accomplished inside the King Hangar while the majority of it took place outside as it was expected there would be no hangars available at the deployed assembly location. THESE NEXT PICTURES ARE SOME OF THE INSIDE PORTION OF THE OPERATION. 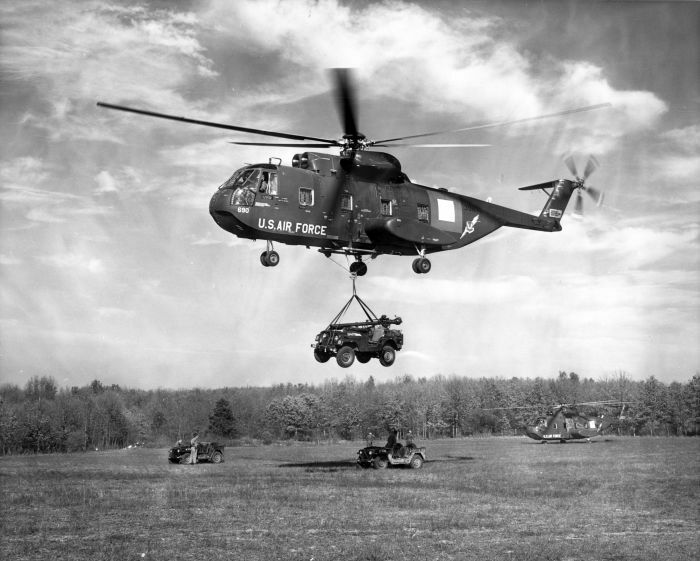 Sikorsky’s first attempt to load the helicopter was made with the engines and doghouse cowl installed and they discovered there wasn’t enough overhead clearance. After these items were removed the second try went fine. 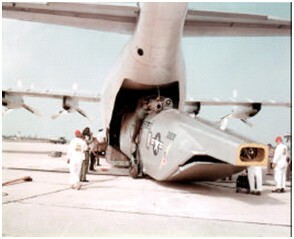 The first fuselage was moved to the C-133 front bulkhead using the aircraft interior winch, hooked to front gear. Blades were stored inside the fuselage. 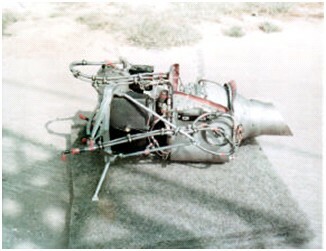 Transmissions were stored behind first helicopter fuselage and tied down. Now we are ready to load second helicopter fuselage. Here is how we worked the first crew with the main rotor blade removal and boxing. One man removed the attaching bolts and three men with a blade sling and guide ropes lowered the blades to the ground and put them into a blade-shipping container for safe keeping. The mount bolts were reinstalled in the rotor head for shipment. While crew 2 was removing the tail rotor blades and boxing them, mount bolts and rotor-head sling went into the blade shipping box for safe shipment. 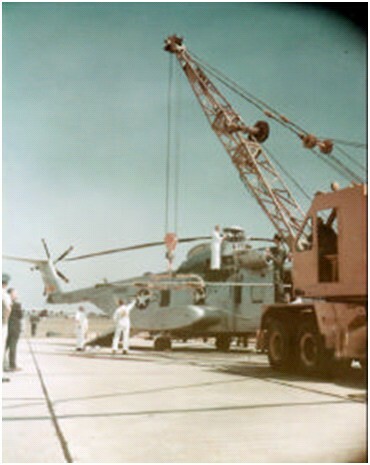 The first crew’s blade bolt remover/installer connected the rotor head sling to the crane as it was jacked up. Crews 2 & 3 prepared and removed sponsons with strap slings. Crews 1 & 4 handled putting sponsons on their shipping jigs. Crews 2 & 3 installed main wheel loading jigs. Crew 1 installed the hydraulic pump to main wheel jig and nose wheel. The aircraft is now lowered on to the jig’s wheels. Crew 4 prepares and loosens the tail pylon bolts. With the pylon sling installed the pylon is removed and installed in the pylon shipping jig. The pylons are mounted in the jig with its mounting bolts and marked with the aircraft tail number. The crew 1 "bolt removal man" installed the main transmission sling, while crew 3 was preparing the main transmission for removal. The engine drive shafts were removed, tail rotor drive shaft unhooked, and main hold down bolts were removed and all the mount bolts were secured in fuselage mount holes. Now crews 1 & 3 worked together to remove the transmission and secure it in its shipping jig. We are now down to where the Sikorsky people tried putting the fuselage into the C-133, but they discovered that the dog house cowling and the APU must be removed. Crew 4 removed the cowling and mounted it in the shipping jig. They removed the APU and starter tube, which were to be shipped in wooden crates. We can now pull the helicopter safely into the C-133. 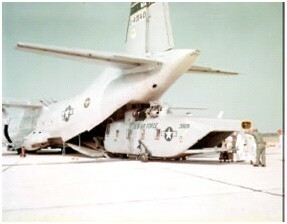 All loading was done with the C-133 loadmaster supervising. 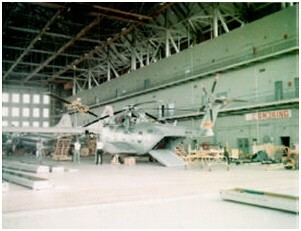 With one CH-3 fuselage in place next came the two transmissions on their stands and the two APU storage boxes. 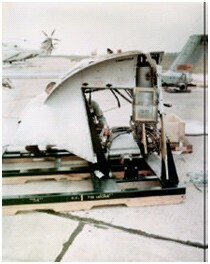 The second CH-3 fuselage and then the two tail pylons, doghouse cowling, tail rotor boxes and the four sponsons on the shipping jigs were loaded. The load is now ready to fly. We left Elgin AFB and flew to the Memphis Navy reserve unit where the re-assembly would take place. 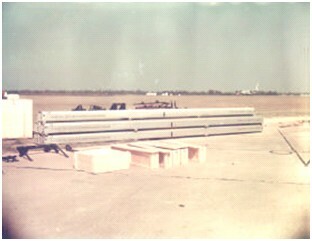 I had come to Memphis the night before and marked the ramp with the six helicopter tail numbers in squares, lined up in two rows to setup our production line assembly for when the aircraft arrived for off loading. We were housed on station by day or night crew so no one was awakened wrongly. The mess hall was open to us 24 hours. We did start with a hiccup as we only had one crane for the two lines so we had to share time. We had a small floor crane to put the sponsons and tail pylons on so that helped. 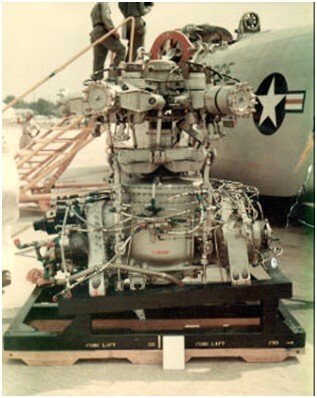 We also didn’t have our special tools and torque wrenches because a C-124 blew an engine and we had to wait till they got another aircraft to deliver them. After 12 hours we were back on schedule. Now we moved the first two fuselages into the area with the crane between them. First up were the transmissions with two crews inside and out hooking up engine shafts, tail drive shafts, main transmission mount bolts and lines. Another crew of four men got the tail pylon ready to lift into place and installed the mount bolts and cables inside the tail cone. Outside the tail rotor blades were installed and bolts were torqued while working off of the maintenance stands. Another two crews worked together getting the sponsons ready to install using the floor crane and slings. 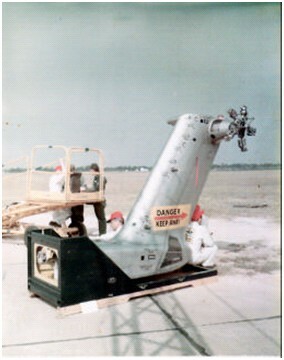 The other crane was used to stabilize the fuselage, for safety, while the fuselage was raised and placed on jacks. The main gear jigs were removed and sponsons installed, mount bolts were installed and torqued. 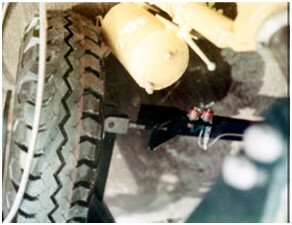 The main gear was lowered and lock pins were installed. 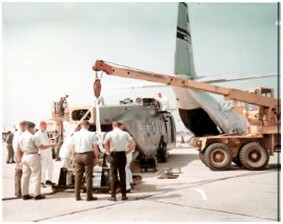 The aircraft was then lowered on to its gear and all hydraulics was checked. The aircraft could now roll on its own wheels. We now had crews installing the doghouse cowling and APU system. Crews were now un-boxing the main rotor blades and readied them on the blade sling to be installed. We now had another rented crane, so we moved the aircraft forward and installed the blades one ship at time and then moved them out on the flight line for final inspection and ground run-up checks (blades were tracked). Then the aircraft were turned over to flight test crews. All write-ups from the test flight were fixed and signed off. The aircraft were then turned over to combat ready flight crews to fly to Missouri for the joint exercise.